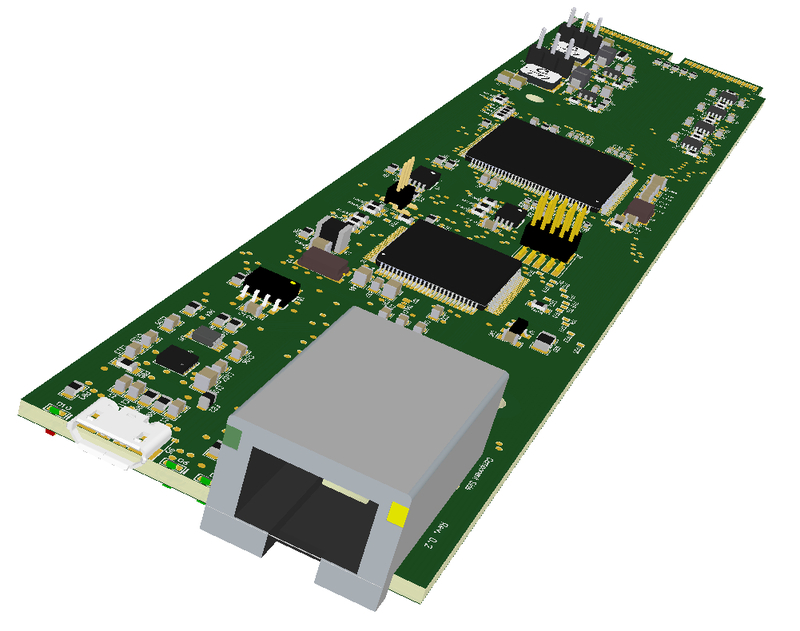 With its compact dimensions of 260 mm width, 43 mm height (1U) and 302 mm depth the EMV-shielded NATIVE-mini is designed for the insertion of up to two single full-size or mid-size AMC modules (Advanced Mezzanine Card) and therefore aims for applications which require just one or two AMC modules. The integrated "embedded" MCH (MicroTCA Carrier Hub) makes the NATIVE-mini a standard compliant MicroTCA systemproviding an easy migration to larger systems. 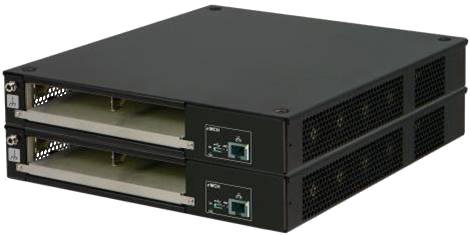 In relation to the system’s dimensions the eMCH is an optimized version of its bigger family member, the NAT-MCH, taking over monitoring and management of all system components such as the 150W Open Frame power supply (input voltage range 90 - 264 VAC) or the cooling units which ensure in push-pull-configuration a cooling power of 150 W at an operating temperature of +55°C. By error detection and isolation the system management provides the system reliability which MicroTCA is known for. 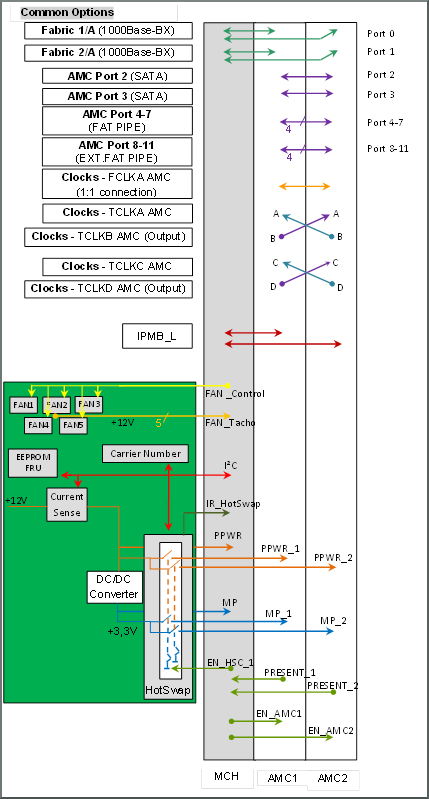 The system integrated "embedded" MCH enables the communication between the AMC modules and the monitoring of the system, including the power and cooling management. 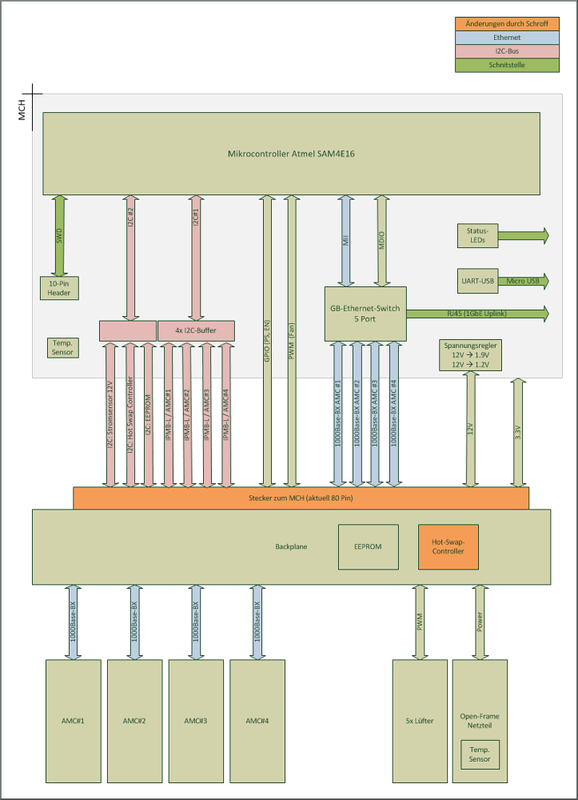 The eMCH provides via its 1GbE switch direct access to both AMCs and the system management via the 1GbE-Uplink at the chassis front. 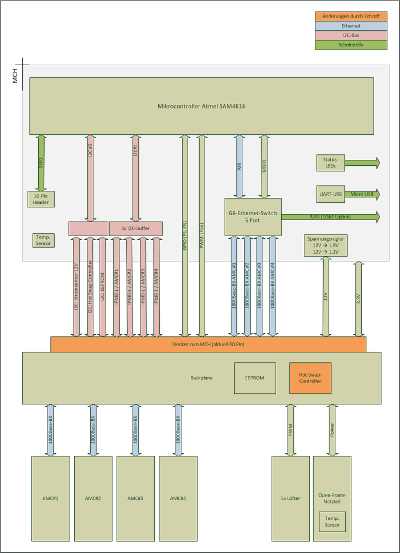 The 1GbE switch also allows the direct integration of the system components in an existing network infrastructure. Hereby it is also possible to simply integrate the NATIVE-mini in existing management architectures like e.g. SNMP. 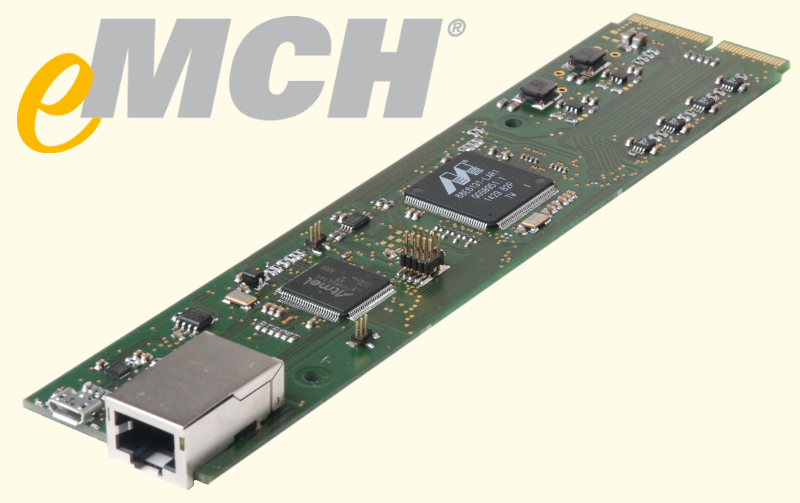 The eMCH is fully compatible with the NAT-MCH and therefore offers a natural migration path to bigger systems while keeping already used AMCs.